Many drivers know that the radiator in their vehicle helps keep the engine temperature down, and here in Alaska that may not seem needed. The ASE Certified professionals here at University Chevron know better than that. Any issue with your radiator should be looked into right away, no matter how cold it may be outside. Getting quality radiator repair prevents any vehicle damage from happening and ensures your engine stays safe. Given the importance of this area, preventing serious vehicle damage saves you time and money. Since 1977, University Chevron has provided quality auto service to the Fairbanks area. 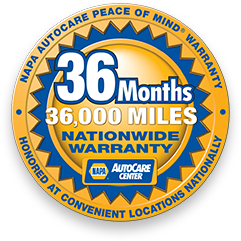 Treat your vehicle right when you call us, stop by, or schedule an appointment online today.